The Brabantia compact rotary dryer is ideal if you want a functional solution for drying your laundry outside. 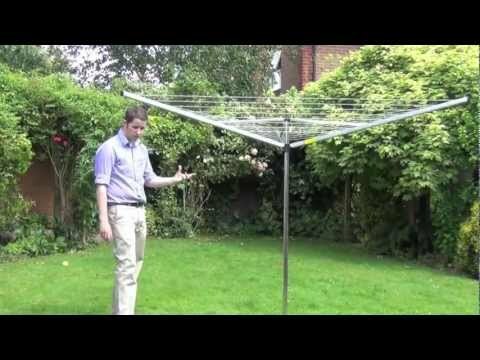 The compact rotary airer achieves maximum drying taking up minimum room in the garden. Diagonal span width of 265cm. Easy to operate adjustable umbrella system. Easy strong line with non slip profile. Robust coated steel arms and sturdy 35mm diameter aluminium main tube. Keeps washing line clean and dry. Easy to put on and remove with zip fastening.